Anytime I create something, I’m constantly thinking about ways to change it, tweak it, make it better. I think it’s just the nature of a creative brain. So, recipes are always swirling around in my head. I find inspiration everywhere. It’s almost a curse. 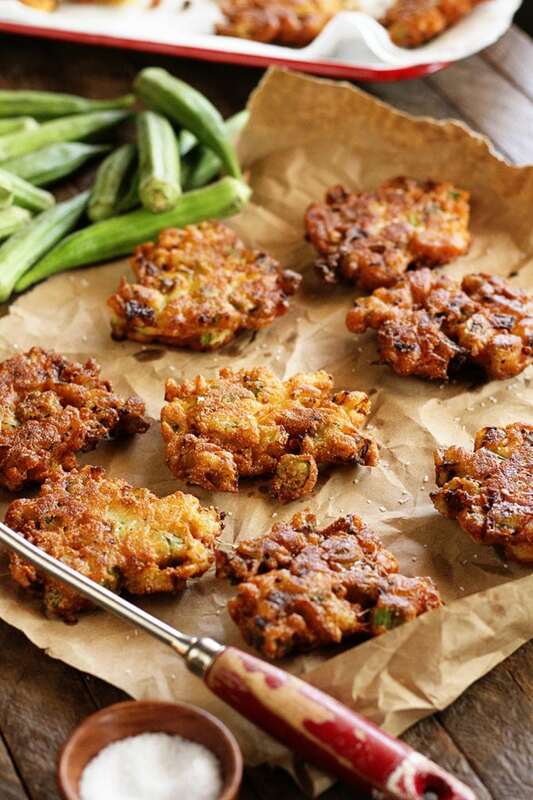 Back in 2011, a sweet reader named Julie Taylor sent me a recipe for okra fritters. My family and I fell in love. And, of course, I went to tweaking. 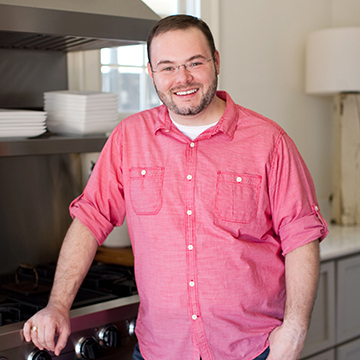 One version ended up in my cookbook. Today I’m sharing my newest version. And dare I say it… it might be my favorite. 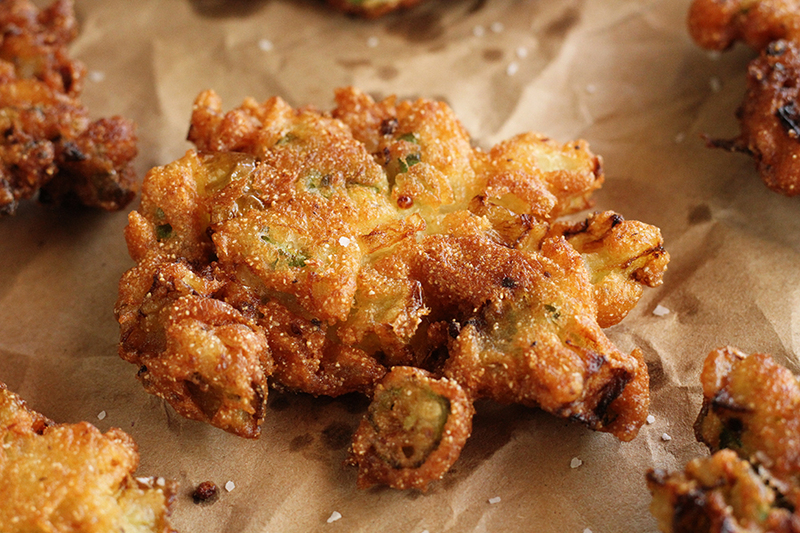 I’ve taken these crispy, delicious morsels and kicked them up a notch. 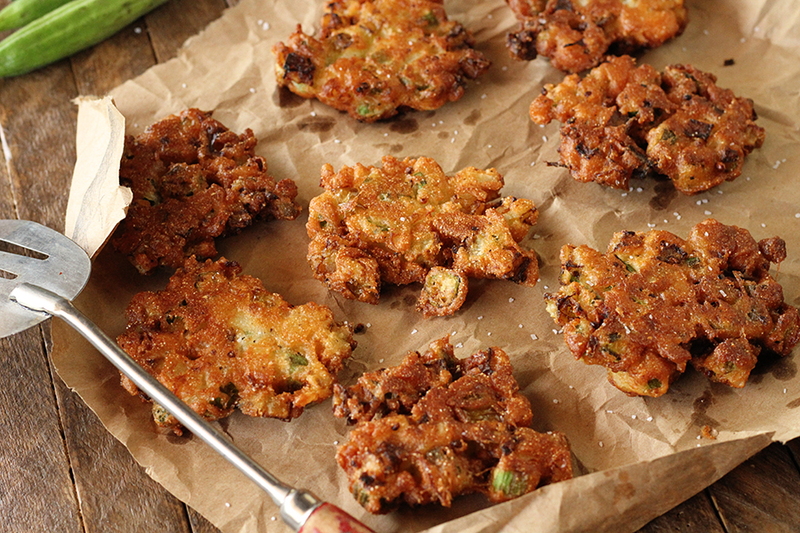 Imagine the best of fried okra and fried green tomatoes in one bite. Simply amazing. I can see these sprinkled with some cajun seasoning or dipped in some comeback sauce for even more flavor. You know, if that’s your thing. Which it should be your thing. That’s why you’re hear, right? 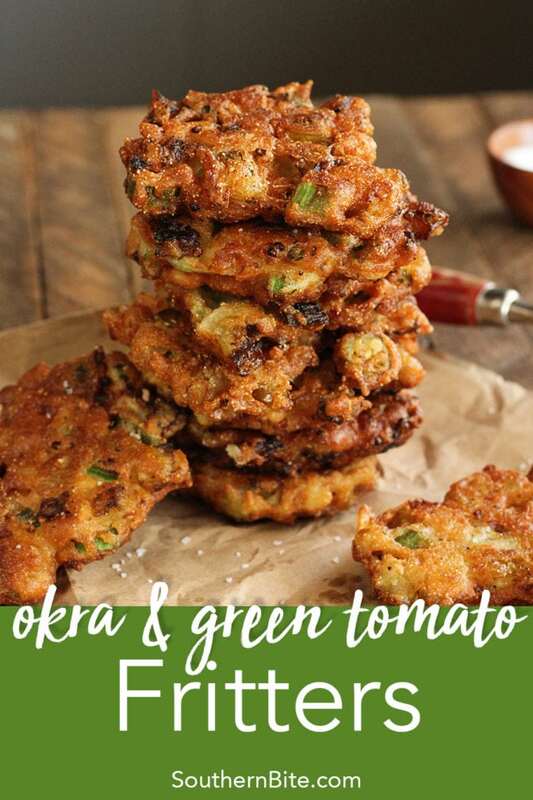 Get the best of fried green tomatoes and fried okra together in this Fried Okra & Green Tomato Fritters recipe. In a large bowl combine the flour, cornmeal, salt, pepper, and garlic powder. Add the chopped okra, green tomato, and onion. In a small bowl lightly beat the egg into the buttermilk, and then add it to the okra mixture. Stir until just combined. Heat the oil in a large skillet over medium heat. Drop the okra batter into the oil by heaping tablespoonsful. 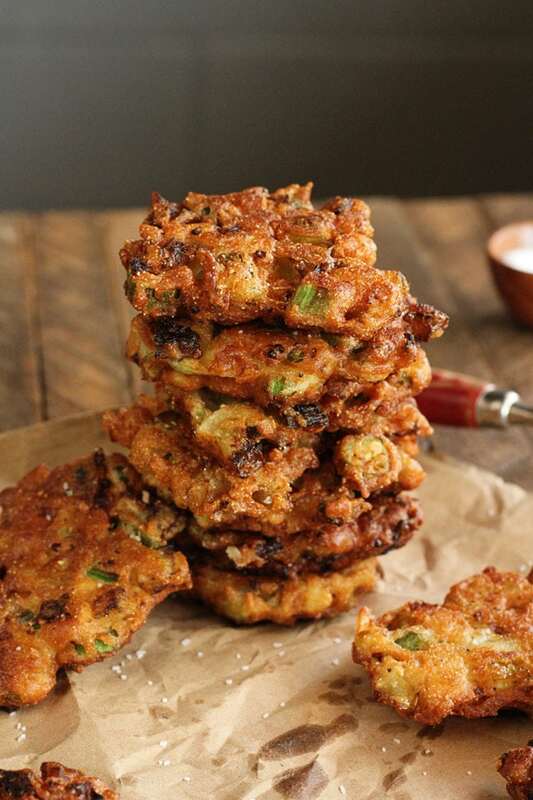 Cook 4 to 5 minutes, then flip the fritters and press them flat with the back of a spatula. Cook 4 to 5 more minutes or until crispy and golden brown. Cook in batches, adding more oil if necessary; then drain on paper towels, and serve hot. They look delicious and i do these with diced onions. They have the same taste and crunch as onion rings with much less fussing ang and prep time. I also use comeback sauce as a dip as it counteracts the ” heaviness ” of fried foods. Hey, Stacey and Nana, what is “comeback sauce”? Those would be great dipped in a little remoulade! Or maybe even ranch dressing. I’m definitely going to be trying this! Absolutely! Both sound like a delicious addition! Absolutely! Just let it thaw first. I cannot wait to make these! Genius recipe! I mean I thought your couldn’t get any better than a fried green tomato. You proved me wrong! Love this! Ha! Thanks! I sure hope you’ll enjoy them! Bet yellow squash would be great made this way too!! 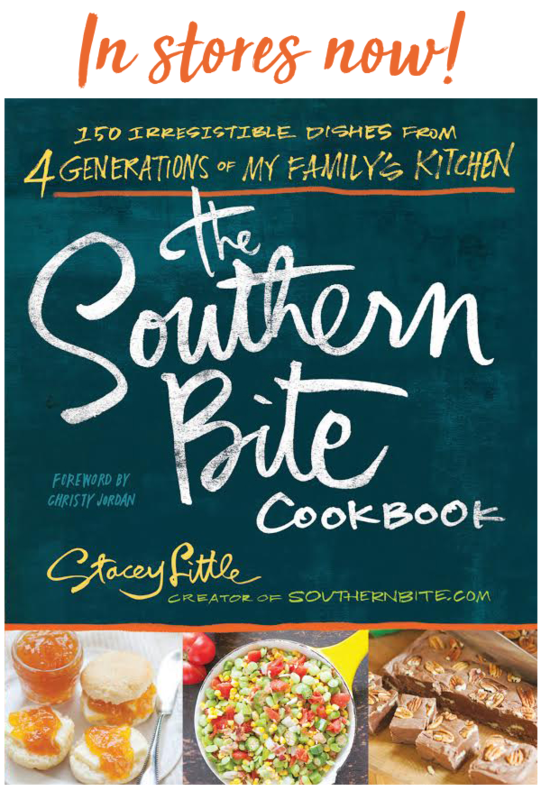 Thanks for the great recipe Stacey!! We’ve had caterpillars decimating our garden this year so I went ahead and picked all the tomatoes, even the green ones. We also grow okra and I looked up recipes for okra and green tomatoes and found this site. 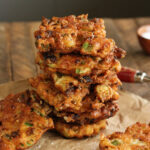 I made a batch of these fritters. O.M.G. These are so good!!!!!! Thank you, thank you, thank you for this recipe!!!!!! I’m so glad you found me and that you enjoyed these! We sure love them!